From Mattel, here we have their 1:55 scale diecast release of Rod Torque Redline! 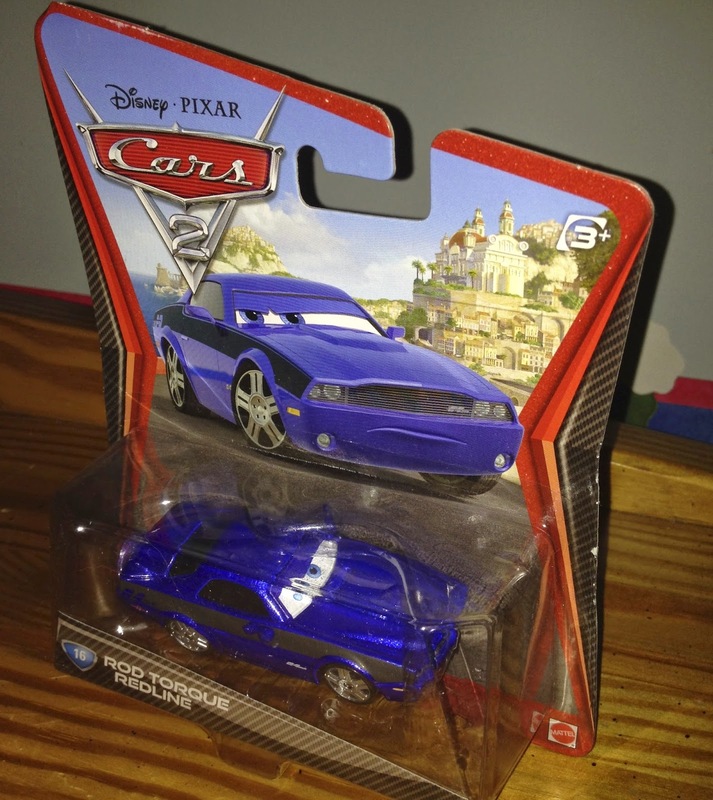 This is a 2011 release and was part of the initial Cars 2 series (#16). In the film, Rod is the American spy who attempts to pass along crucial information to Holley Shiftwell and Finn McMissile. Instead, he secretly passes it to Mater in the Tokyo party bathroom to keep it safe from the attacking lemons. Holley and Finn then mistaken Mater for "the American spy" and Rod is captured, tortured and killed by Professor Z. There was also a "Damaged Rod Torque Redline" diecast released as well (in a 2-pack with Grem, see post HERE).